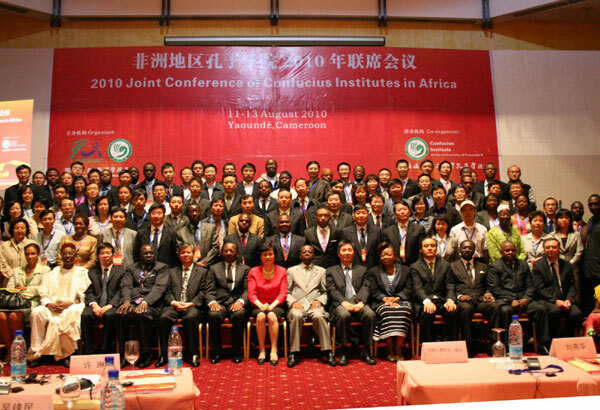 Hanban, or China Confucius Institutes headquarters, has allocated more than $4 million to 21 Confucius institutes in African countries in 2009, officials announced at the 2010 Joint Conference of Confucius Institutes in Africa, held in Yaoundé, Republic of Cameroon on Aug 12. In 2009, 102 Chinese teachers were sent to African Confucius Institutes, said Xu Lin, director general of China Confucius Institutes headquarters, adding that in 2010 Hanban will continue to support its development through many channels. Famu En Dongo, head of the Higher Education Ministry of Cameroon, said more than 3,000 Cameroonians were learning Chinese and hoped that more people can learn Chinese to promote the two countries’ trade and cultural communication. More than 120 representatives from 25 Confucius institutes and classes were in attendance this year. The previous two conferences were held in Beijing in 2008 and Nairobi, Kenya, in 2009. Zhai Tiantian, former doctoral student in US, who was jailed on charges of terrorism, returns to China. Fake iPads are flying off the shelves for as little as 650 yuan ($95.67) at Silk Street Market. Chinese actress Zhang Ziyi appears on the cover of the latest issue of Harper's Bazaar China.